Timo van Luijk, born in Finland (1967) and living in the Belgian countryside is an autodidact sound instrumentalist / improvising composer, photographer and printmaker. Started in the mid 80’s with sound improvisation and experimental music. Formed, together with Geert Feytons, the audio-visual experimental music collective Noise-Maker’s Fifes in 1989 using selfmade instruments and field recordings to create complex, surreal audio-visual live happenings, including dance, projected sound and video installations. The photography, collage and print works reflect a poetic sensibility floating between pictoralism, surrealism and romanticism. An appearing constant in all work is a profound attraction to an irrational, organic and delicate stilled world, a fin de siecle aura, faded through erosion of time, like through antique lenses. 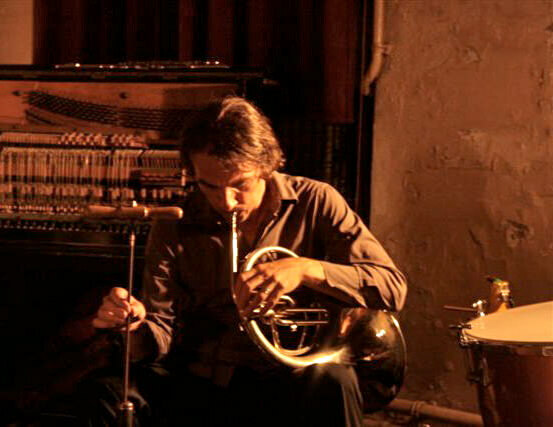 Co-founded Metaphon in 2007, a concert organisation and record label releasing archive works of experimental music composers and sound artists.